This tutorial and software package demonstrates the concept of multidimensional chromatic distribution and examples on how to use such. Multi-dimensional chromatic distributions can be produces from widely available RGB color imagers, and is a straightforward way to capture arbitrary chromatic distributions and compare them in-between samples. 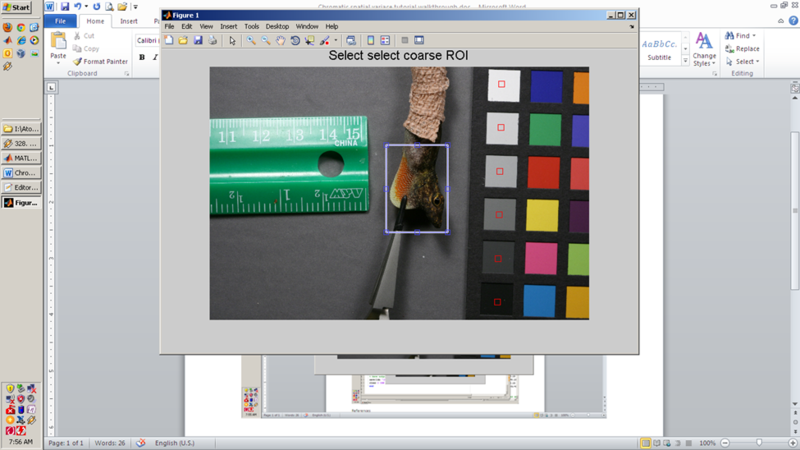 The concept can be expanded to cover multispectral images . The figure below illustrates why variance matters and one example where spatial chromatic variance is needed to identify the species. More considerations can be found in the authors reference  and in the included power point presentation. S. Kucheryavskiy, "A new approach for discrimination of objects on hyperspectral images," Chemometrics and Intelligent Laboratory Systems, vol. 120, pp. 126-135, 2013. M. Brydegaard, A. Runemark, and R. Bro, "Chemometric approach to chromatic spatial variance. Case study: patchiness of the Skyros wall lizard," J. Chemometrics, pp. n/a-n/a, 2012.